A dynamic new fitness experience is making its way to Hudson County as 8 Springs Studio prepares to open its doors at the Cast Iron Collection, the new industrial-inspired mixed-use community rising on the border of Hoboken and Jersey City. Scheduled to debut in early May, the one-of-a-kind health club will be home to Jersey City’s only Megaformer training method. With celebrity enthusiasts ranging from Sofia Vergara to Michelle Obama, the Megaformer workout offers a transformative fitness technique combining, cardio, strength, endurance, flexibility, core conditioning and balance in an intensity focused 40-minute class. The core of the Megaformer is controlled by the resistance of eight springs. This control is what allows for the vibrant movements of the Megaformer and how the name 8 Springs Studio came to life. The new 2,600 square-foot facility will feature a 10-machine Megaformer room, a separate yoga room, TRX suspension systems and locker facilities. Owners Li Ng and Dani Rubin conceptualized and branded 8 Springs Studio as a way to incorporate a unique boutique fitness destination into the flavor of Jersey City’s urban landscape. In addition to exercise classes, the facility is expecting to host neighborhood-centric events and plans to incorporate the work of local Jersey City artists in its interior décor. 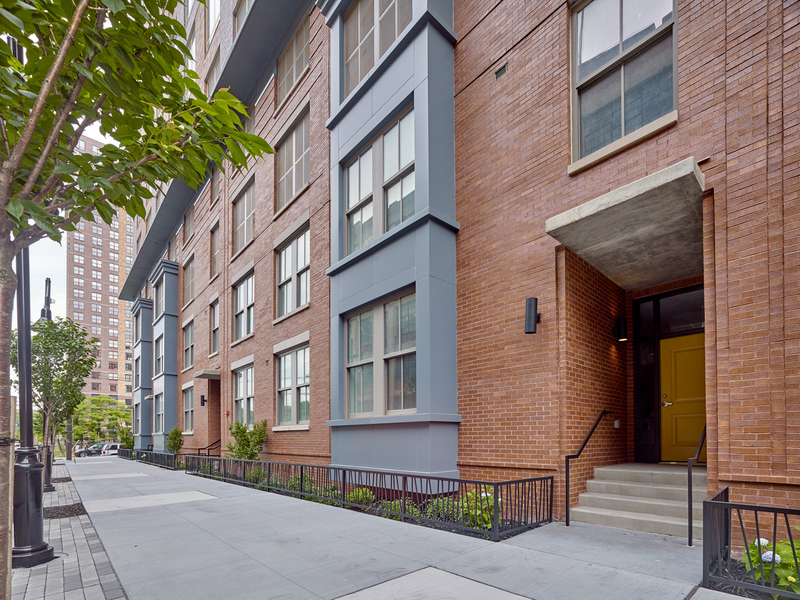 The Cast Iron Collection is spearheading the creation of SoHo West (South of Hoboken, West of New York City), a vibrant new neighborhood of rental homes, local shops and services and public open spaces. Designed to accommodate participants of all ages, the Megaformer routine is a high-intensity, low impact workout that focuses on quick and dramatic improvements in strength, flexibility and endurance by working multiple muscles groups at once, indicates Ms. Rubin. Classes at 8 Springs Studio can be purchased individually or as a package. Following the successful lease up of the initial Cast Iron Lofts apartment building which is home to hundreds of residents, Manhattan Building Company, developer of the Cast Iron Collection, has opened leasing for Cast Iron Lofts II, a 232 loft-style residences with high ceilings, soaring living spaces and some of the largest floor plans in the Hudson County marketplace. Located at 300 Coles Street, between 17th and 18th Streets, the new 27-story industrial-inspired building blends expansive studio, one-, two- and a large selection of three-bedroom residences with a full suite of indoor and outdoor amenities and 20,000 square-feet of street-level retail space. For additional information on 8 Spring Studio, please visit http://www.8springsstudio.com/classes/. For additional information on the retail spaces at Cast Iron Collection, please call 201-656-0314. For more information on rental apartments, please visit http://www.castironcollection.com. Inquiring Minds Want to Know ….